This book will debunk the myth that cables are too tricky to master. Cabling is just a series of knits and purls worked in a particular order. Learn the basics and discover a whole new knitting world of gorgeous cable projects. Unlock the mysteries of ready stitch charts, using cable needles, and much more with this beginner-friendly guide. Start with the easiest stitches, and then move on to more complex cables diamonds, and braids. Knit up a range of projects, from pillows and a scarf to gorgeous Aran pullovers and cardigans, 14 projects in all. Whether you are tall or short, curvy or slender, you deserve clothes that fit you perfectly. Fitted Knits gives you patterns that create well fitted garments designed to accentuate your positives. You simply knit to your measurements, easily adjusting the pattern so it&apos;s tailored to your unique shape. You will be surprised at how easy it is to add shaping details that ensure a perfect fit for your figure. There is something her to keep you knitting happily the whole year through, form lightweight summer tanks and tees to shrugs, raps and cardigans perfect for those transitional times, and, of course, warm and cozy sweaters, vests and coats to get you through the cold months. Inside this book you will find  a how to fit your knits guide that shows you exactly how to adjust the patterns in the book to get a perfect fit  25 wearable fashion inspired knits for all seasons  a user-friendly skill level guide so you know what to expect with each pattern  an essential information section including a knitting abbreviations key, a knitting needle conversion chart, a helpful reference library and a list of great knitting web sites. In the 1830s, James Chamberlain’s grandmother faced this quandary. She solved it by teaching each child to knit his own socks as soon as he was old enough to hold needles. James grew up to farm, raise and trade horses, work as a postmaster, run his general store and knit his own socks. For him, finding a time to knit socks was a necessity, and I suppose that the only thing he ever knit was socks, probably the same pattern over and over. His daughter, my grandmother, Gertrude Black, told me that he almost died in a blizzard when he was working as a teamster in Kansas. His frostbit shins were intolerant to cold after that so he changed his sock pattern so that the cuff covered his shins for protection. Katherine Pence designed the sock patterns in this book purely for fun. Along the way, she was inspired and encouraged by many people. Her husband, David, photographed this assortment of socks and Marilyn Buster of Tulsa, Oklahoma proofed the layout. Today we are inspired by the sophisticated, sensual appeal of luxury yearns. Nothing complements the elegant curves of the female form like a garment made from the finest merino, alpaca, silk, cashmere, or angora. Twenty-five high fashion projects put the romance back into the craft. Create alluring apparel that turns heads, including  a textured jacket with a form fitting nipped in waist  a bishop sleeved sweater with a daringly plunging neckline  a shoulder baring minidress. Inside you will also find camisoles, negligees, and evening wear. Rest assured: these timeless pieces will transcend today&apos;s fashion trends and look great for years to come. This Tapestry Topics quarterly newsletter was created in 1982. It includes letters from the co-directors; discussions from various artists; information about exhibits; historical information; updates on workshops; and information about the directors and membership form. Contents:  Letters  Getting Started  Reviews  News and Views  For starters  Marketplace  Events, Exhibits, Classes, and Travel Calendar  Product News  Classifieds  Endnotes. Includes index. Master printer Roni Henning has embraced water based screenprinting for its benefits to both the environment and her personal health. In this insightful guide, she has gathered the works, techniques, and experiences of many of the talented artists and printers with whom she has crossed paths during her own illustrious career, printing editions with the likes of Romare Bearden, Andy Warhol, and Jack Youngerman. Through the work of Bearden, Youngerman, and Gene Davis, among other top artists, you are guided through the traditional screenprinting process, form building and stretching a screen to color separations, color mixing, proofing, and printing. Henning discusses advances in techniques and process since the rise of water based screenprinting, the collaborative relationship between artist and printer, and monoprints and monotypes as art forms. Finally, the use of computers and image manipulation software to complement screenprinting is also investigated. Includes index. There are times when all artists struggle for inspiration. This can be particularly true when they try to create patterns, textures and designs with which to decorate their work. In the book Carolyn Genders presents a wealth of images, of both natural and manmade objects, that will spark the imagination of all who see them. Along with this, she shows how these images can be visually abstracted and then refined and enveloped to create other beautiful patterns, designs and forms. The result is not only a useful guide to how the creative process works but also a visually glorious sourcebook of images. This book is a must for all artists, whatever filed they work in and whether they are amateurs or professionals. This book describes simple techniques and 150 stylish motifs to embellish your world. This book has techniques, motifs and inspiration. Contents:  Materials, Tools and Techniques (floss & thread, hoops, fabric, other tools, get started, transferring motifs, working with floss, basic stitches, making patches, displaying finished work, mounting fabric on a stretcher and fabric applique  Communication: numbers and words  Technique stitch on paper (ampersands, monograms, mystic symbols, astrology tatto flash, day of the dead)  Natural World (aquatic life, woodland creatures, deer, insects, feathers, plant borders and leaves  Technique Shadow work ( cactus, flowers, seed heads, weather, night sky, people  Designed World (keys, retro, visual aids, sewing, gems, architecture  Techniuqe Sitch a house (maps)  Patterns (radial, deco, geometric, line art, simple bordeers, and complex borders  Techniuqe Sashiko (arrows, frames and wreaths and folkloric. This book includes the SAQA member quilts from a juried selection for 2016. Zakka Embroidery presents designs that are an elegant blend of Japanese and Scandinavian style. The motifs and patterns are spare and graphic, yet softened with organic shapes and imagery drawn from nature. The result is embroidery that evokes a personal feel and conjures a sense of nostalgia. Here Japanese designer Yumiko Higuchi presents embroidery motifs to be stitched using just one or two colors, creating patterns and designs that are more evocative for their form and texture than for a play of colors. Each embroidery design is paired with a simple craft project, transforming the stitched fabric into a functional object, including pouches, pillows, aprons, and more. With beautiful photographs, clear step by step instructions, and detailed diagrams, Zakka Embroidery will be an inspiring guide for those new to embroidery and a delightful experience for those accomplished with needle and thread. 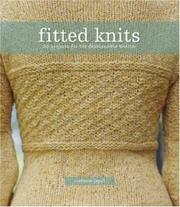 This book includes instruction for wet felting and gives you ideas of things to makes with your felted pieces. Shrader, Valerie Van Arsdale (editor). The 12 artists who created these 12 X 12 inch quilts based on a designated them every two months are  Deborah Boschert  Gerrie Congdon  Helen L. Conway  Kirsten Duncan  Terry Grant  Diane Perin Hock  Francoise Jamart  Kristin La Flamme  Karen Rips  Brenda Gael Smith  Terri Stegmiller  Nikki Wheeler. These artists who have become nurturing online quilt community invite you to discover the results in Twelve by Twelve. Richly illustrated, this book is part personal narrative, part creative exploration, reflecting the wonderful diversity of the artists and their work. In all, over the course of two years, the artists created 144 art quilts that are all presented in this book. Each chapter is devoted exclusively to one of the 12 challenge themes, with one quilt highlighted in depth. Each chapter’s featured artists describes her creative inspirations, process, techniques, and workspace, while the 11 others touch upon what went into their piece created for the theme. Sidebars spotlighting different aspects of the challenges offer a behind the scenes glimpse at what it’s like to be part of a virtual craft community. This book teaches you how to use wool roving or yarn to create beautiful, touchable felt projects. Learn to embellish everything from wearable accessories, like scarves and hats, to favorite items for the home, such as pillows and photo albums. If you&apos;re feeling more adventurous, move on to sculpting wool into one of a kind bowls, necklaces and even cute critters and dolls. All 25 projecdts require just a little time and a few materials. In Iran, more than 100 years ago, a young girl with three suitors gets permission from her father and a holy man to weave into her wedding rug a riddle to be solved by her future husband, which will ensure that he has wit to match hers.